We are very proud to be the first and oldest caviar house and supplier in the country. Established over 120 years ago W.G. White was the first company to import caviar to the U.K. With our many years of experience, we are committed to supplying the finest caviar to a discerning clientele of private clients and trade customers made up of Michelin starred establishments, 5* hotels and top restaurants. 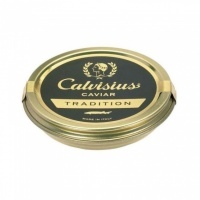 Take a look at what we offer and buy caviar online with confidence from one of the most respected caviar suppliers in the UK.